You’ve been working hard to hit your targets and show that you can handle additional responsibilities. It seems like a raise is within reach. But in the world of work, ambitious colleagues, new clients and office politics can take attention away from you – and your raise-worthy achievements. Before penciling in that meeting with your manager, give yourself the best chance for success by employing a few persuasive techniques from Robert Cialdini, the godfather of influence. His reciprocity principle, for example, suggests that we feel obliged to return the favor when someone helps us out. Help ease your boss’s workload when she looks stressed and you’ll not only demonstrate your value, but also earn a favor to call in when you’re up for a raise. You can use these techniques during the pay raise meeting, too. 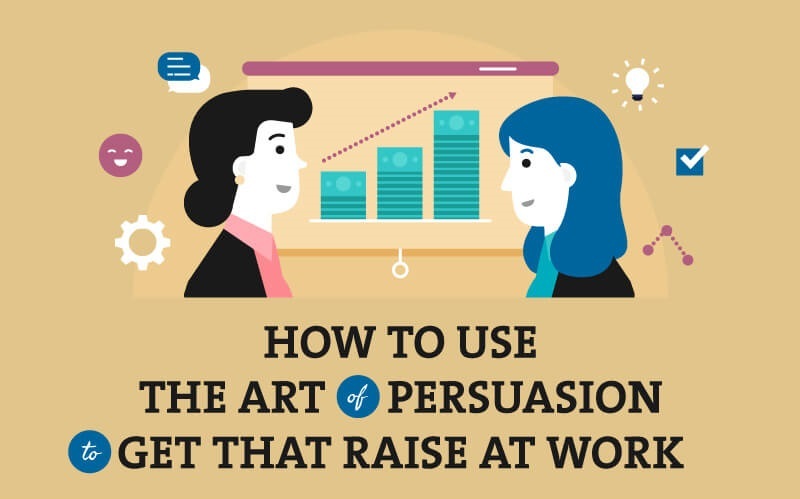 Persuasion research reveals that we like people who are similar to us, and simply mirroring someone’s body language makes them feel more comfortable and open to our suggestions. Come prepared with compelling stats that reinforce your value to the company, and use forward-thinking language to get your manager thinking about your role in the company’s future.